Shower panels are a great way to add multiple shower heads to a shower without the complicated (and expensive) plumbing. They come in a range of styles and colors. If you want to replace your existing shower with something modern and efficient, a shower panel is a great choice. They deliver water sprays from every angle, including horizontally, and are easily controlled using dials or buttons on the panel itself. What is a Bathroom Shower Panel? You may not be familiar with the term – many people aren’t – but you’ve likely seen shower panels in showrooms, hotels and on home improvement sites or shows. Shower panels are wall mounted, all-in-one units that have a myriad of features designed to make every shower an enjoyable experience. They can include things like body sprays, massaging jets, a shower head, and handheld sprayer. They’re most often seen in walk-in showers but can also be installed in a tub area. 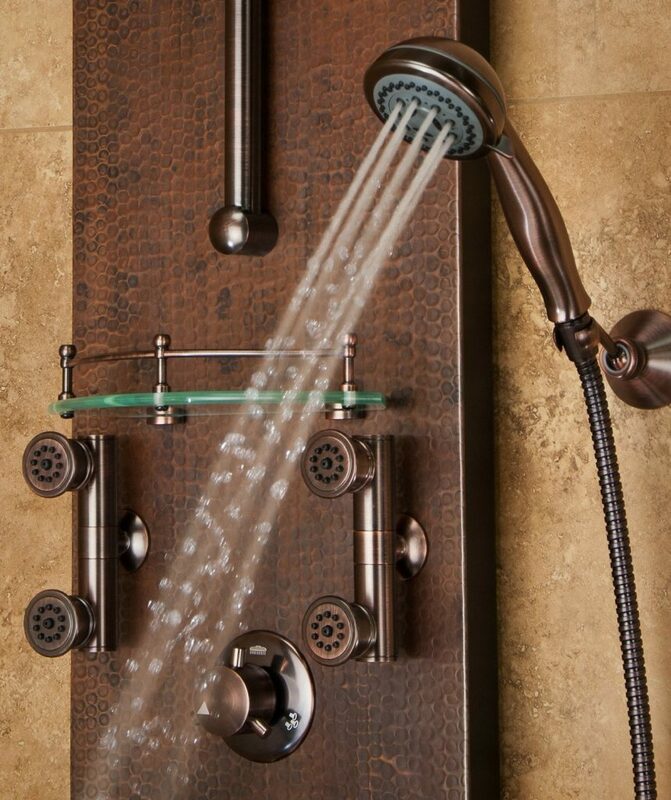 With their numerous features, dials, and buttons, shower panels can look pretty high-tech. But they’re not as complicated as they look. Here’s how they work. Simple, built-in controls make it easy to control the shower temperature, flow rate, spray pattern, and any other features or attachments. A variety of water spray patterns are available, with each separate shower head having its own spray pattern. Dials or buttons let you use each showerhead separately or set different patterns for multiple heads that spray simultaneously. When choosing, keep in mind that some models only allow the use of one shower head at a time. Multiple shower heads and attachments deliver rainfall and/or waterfall sprays. A feature many people love is the horizontal spray function, ideal for massaging your back and neck. Some panel systems include a handheld showerhead that, besides giving you a full rinse, are perfect for helping you clean the shower enclosure itself. If you’re planning a bathroom remodel in the near future, shower panels should definitely be on your list of possibilities. Designed to give you the ultimate showering experience, they bring high functionality and a sophisticated, clean look to the bathroom. Choosing the proper panel isn’t complicated, but there are a lot to choose from. We’re happy to guide you through the intricacies of making a selection that has all the features best suited to your lifestyle and needs. Design. One of the most important considerations, which panel you choose depends on your remodeling plans and design. Shower panels are constructed from a range of materials like durable stainless steel, plastic, hardwood, and tempered glass; some are even made from more than one material. Each style can add or detract from your overall design vision. Our designer can help you choose a shower panel that matches the look you’re going for and blends beautifully with the other design elements in the room. Pressure. One great feature of shower panel systems is that they’re designed to work with a range of shower pressures. However, if your home’s pressure is much lower than the recommended minimum (typically 28 PSI), you may experience a less powerful spray. On the flip side, a too-high pressure can damage some shower panel systems. Installation. 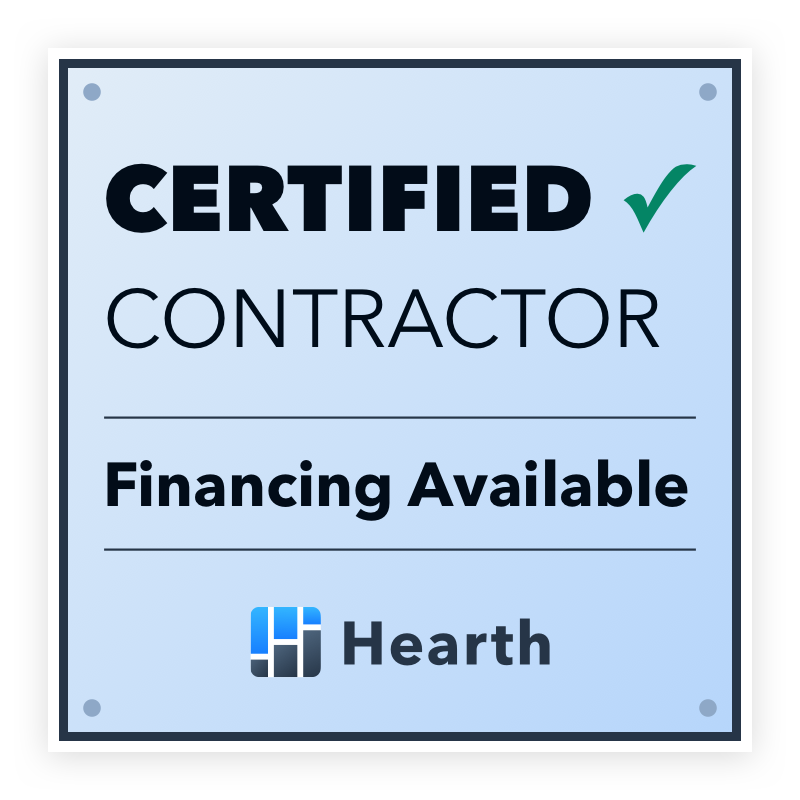 If the plumbing is already in place, installing a new shower panel is relatively quick and easy. Additional features. Some panels come with thermostatic controls that ensure no one gets scalded with hot water or chilled with a sudden burst of cold water. You set the temperature and the panel delivers the exact degree of warmth you’re looking for shower after shower. Other units include an integrated bath filler spout and/or LED lights. Regardless of which shower panel you choose, you’ll usually discover they’re all relatively simple to operate. At McManus Kitchen & Bath we carry shower panels from Pulse Shower Spas. They have a variety of Innovative designs, including a new universal design line that incorporates grab bars into the panel. Let’s take a quick look at actual cost. The Pulse line of shower panels range anywhere from about $350 to just under $2,000. With overhead rain shower and handheld heads, they all transform your shower into a spa-like retreat. From traditional to contemporary, the brand has 17 different styles to suit any architectural or décor style home. Our designer can easily show you how different shower panels will look in your newly remodel bathroom. 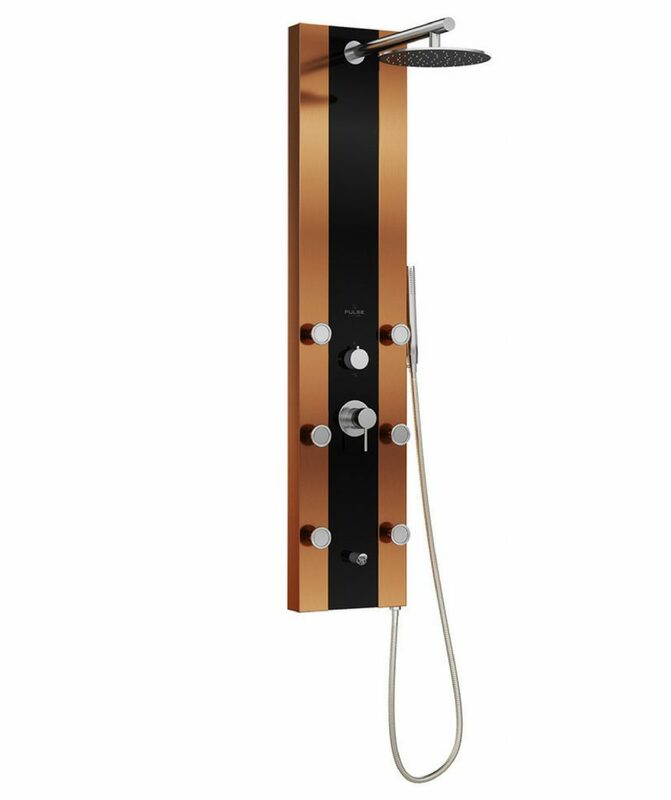 Left image: The Rio Shower spa features nickel features, a black tempered glass panel, and bronze stainless steel body. It’s equipped with 6 single-function spray jets, a hand shower, and rainfall showerhead. Other models even come with integrated mirrors. A shower wall panel can the perfect solution for your new bathroom’s shower needs. If there’s anything more you’d like to know, or if you’d like to learn more about our good better best process, drop us a line or schedule a design consult today. 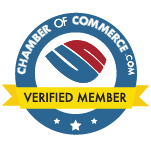 We look forward to meeting with you!